Home > News > News > Dancing … and Singing, Too! Dancing … and Singing, Too! Did you know that our upcoming show, Dance Explosion, will feature not only unbelievable dance moves by our gifted professional dancers, but will also showcase the talents of four stand-out vocalists fromour most recent show, Music of the Night? AMT favorites Todd Mitchell, Michelle Rajotte, John-Philip Bowen and Melanie Gaskins all return to provide the “vocal explosion” in this brand-new Original Show. If you saw them in Music of the Night, then you know you’re in for a treat! Four incredible singers, ten fantastic dancers, and five amazing musicians – it all adds up to one extraordinary show! 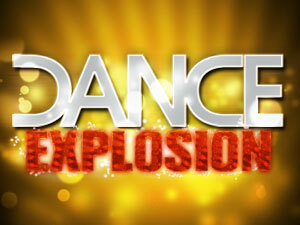 Dance Explosion opens Friday, July 29 – click here to purchase your tickets now!